Eat, Drink, and Be Historic! 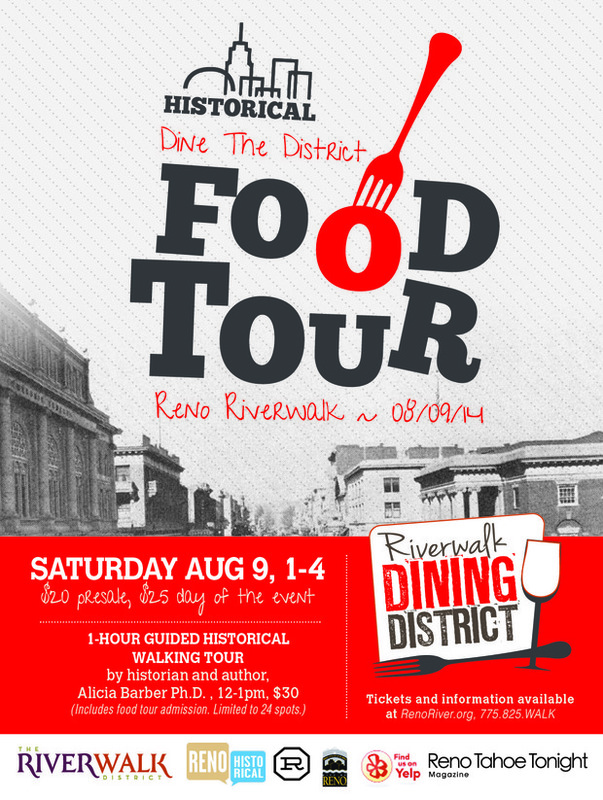 This year marks the second annual historically-themed Dine the District event, put on by the great folks in Reno’s Riverwalk District. This year, we have the added benefit of our new mobile app, Reno Historical, which will allow everyone to learn more about the historic sites throughout the area as they eat, drink, and stroll around. Additionally, I’ll be leading a guided tour just before the event for a small group. The date is Saturday, August 9th, and you can buy tix in advance here. Join us! Buy tickets in advance for the Historical Dine the District event on August 9th.